MANCHESTER-On Monday, March 5, 2018, at approximately 2:10 am, officers from the Manchester Township Police Department responded to the area of Central Drive and Manor Court in the Pine Acres Manor section of the township to investigate a single vehicle crash. 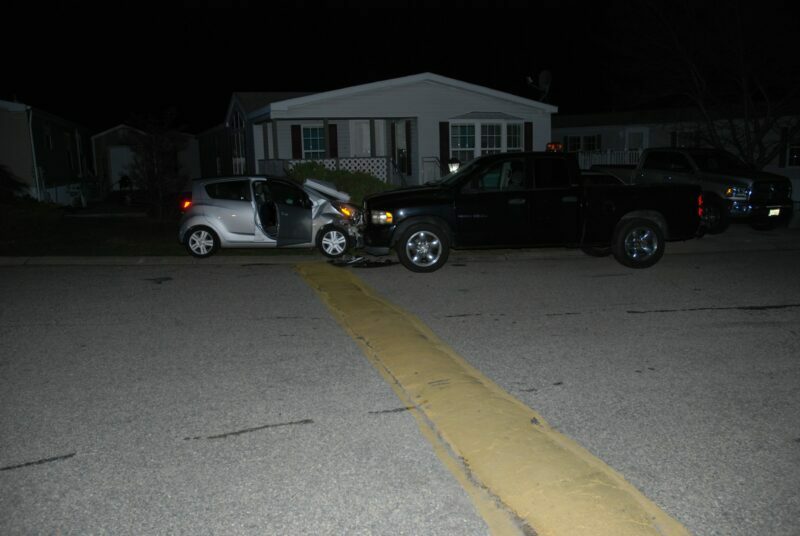 Upon arrival, officers observed a silver, 2014 Chevrolet Spark with extensive front end damage on the left-hand side of Central Drive up against a parked vehicle. The front end damage was the result of the vehicle striking a tree, a road sign and a 2002 Dodge Ram pick-up which was parked in the street. The initial investigation revealed that the Chevrolet was traveling west on Central Drive when it failed to negotiate the curve in the road near the intersection of Manor Court and veered off of the left portion of the roadway. In doing so, the vehicle collided with a small tree and a road sign before striking the parked Dodge Ram head-on. The driver of the Chevrolet, identified as 67-year-old, Judith M. Oliveri of Manchester, was unresponsive when officers arrived on scene and was subsequently pronounced dead at the scene. Oliveri was not wearing her seatbelt at the time of the crash and both of her front airbags had deployed during the collision. Although the investigation is pending, it is preliminarily believed that Oliveri suffered a medical episode prior to the collision. Assisting at the scene were EMTs from Quality Medical Transport and paramedics from MONOC as well as representatives from the Ocean County Medical Examiner’s Office, and detectives from the Ocean County Sheriff’s Office Crime Scene Investigation (CSI) Unit. The crash is being investigated by Patrolman Ian Bole of the department’s Traffic Safety Unit.